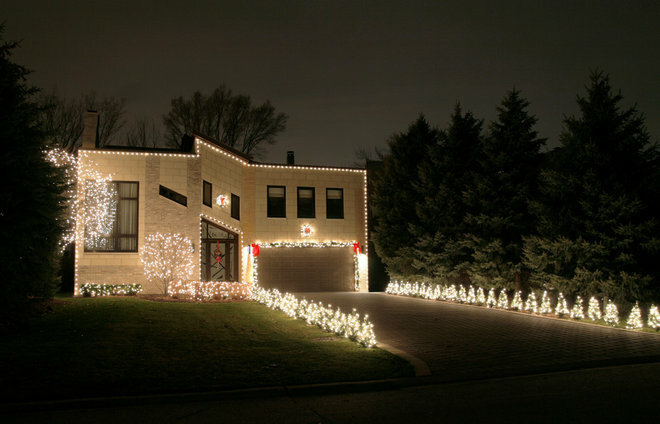 Holiday lights take time, effort and planning. There’s no way around that. 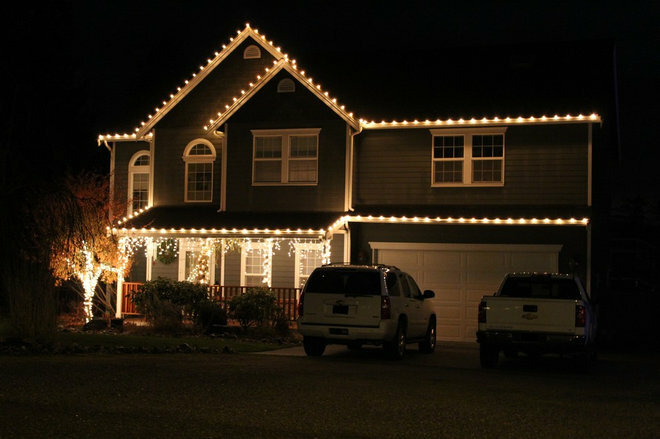 But if you’re going to do it, here are some tips and tricks to help ensure that your lights are festive and safe this holiday season. 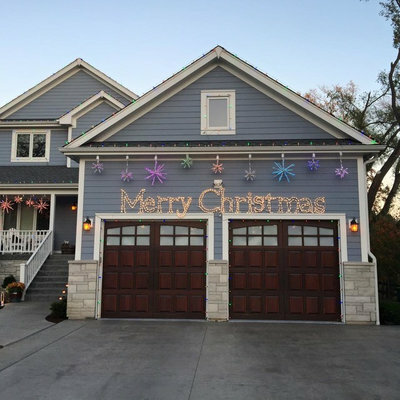 We chatted with two professionals — Keith Pinkerton, owner of a Mr. Electric franchise, and Brandon Stephens, president of Christmas Decor — to answer your questions and learn how the pros hang holiday lights. 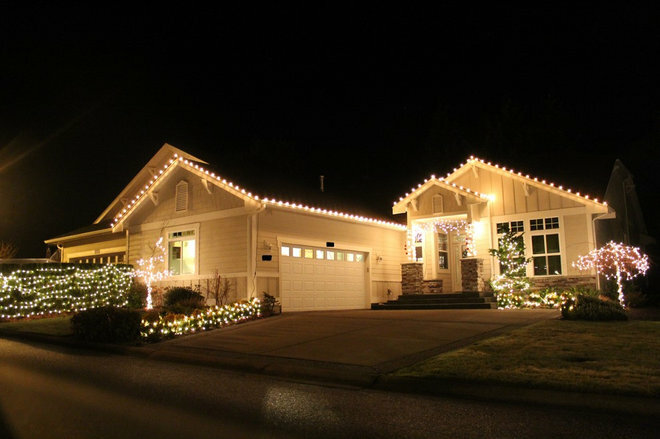 Before planning a design and pulling out the ladder, inspect your holiday lighting supplies for any electrical concerns. Outlets: You want to plug any lights into a ground-fault circuit interrupter (GFCI) outlet, says Pinkerton of Mr. Electric in Huntsville, Alabama. This outlet is designed to shut off the power when it detects a current flowing along an unintended path. This feature helps prevent electrical shock and house fires. You can recognize these outlets because they have a “test” button on them. Before you start plugging in lights, test these outlets to ensure that they are working correctly, Pinkerton says. If you have any concerns, contact an electrician. Extension cords: Check that your extension cords are UL certified for how you are planning to use them. You’ll especially want to look at whether they are for indoor or outdoor use. “Anymore, you can find cords of all lengths, colors and widths that will do the job safely,” Pinkerton says. If you’re unsure about your cord, it’s worth investing in a new one. Light strings: Replace any light strings with damaged or frayed installation, Pinkerton says. “It’s not worth your house or shed burning down and harming someone,” he says. “They are really only intended to work how they are, and not repaired.” If it’s only a bad bulb, you can replace that without replacing the whole light string. At this time, you’ll also want to check if your light strings are UL certified. Indoor lights will have a green UL tag or a silver tag with “UL” in green. Outdoor lights will have a red UL tag or a silver tag with “UL” written in red. “Even if you found the best deal in town, you don’t want to use them if they aren’t UL listed,” Pinkerton says. If you’re looking to replace, Pinkerton recommends looking for an LED option, as they consume less power and have a lower risk of electrical fire. Recycle old lights: Local recycling facilities will many times take your old light strings. Check with your local recycling facility before tossing your old, nonworking lights in the trash. Indoor lights: The outlets in your home should be able to support the small number of lights needed for a traditional Christmas tree, Pinkerton says. You will want to check that the lights you use are UL certified (green tag or green “UL” written on tag). Tip: Your electrical system should be checked on a yearly basis, Pinkerton says. Scheduling this before the holidays every year can be a good checkup for your home. Ladders: Before you step on the ladder, inspect it for damage or cracks. Then check that it’s UL certified and can support your weight. When using a ladder, ensure that the bottom legs are on solid, level ground, and never stand on the top two rungs of the ladder, Pinkerton says. 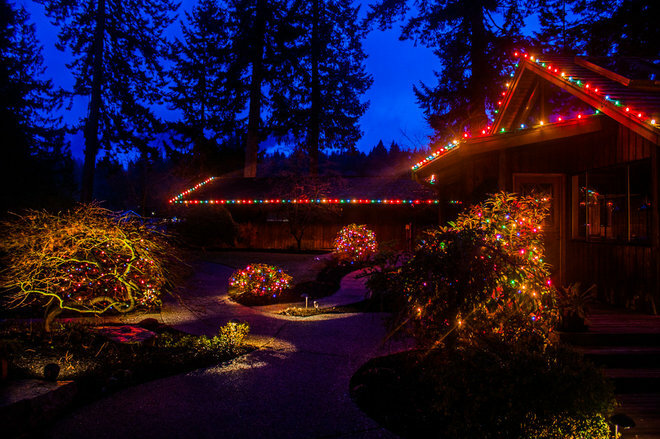 Connected light strings: While it might seem efficient or be easier to string a bunch of lights together, Pinkerton advises connecting only two to three light strings together. The first string will be carrying a heavier electrical load and can get overloaded and start to melt, he says. Instead, he recommends that homeowners plug a power strip into the GFCI outlet and work from there. Then homeowners can use extension cords to connect shorter strings of light to the power source. Timers: Pinkerton advises using a timer because it can save you time and money. You can program the lights to turn on and off automatically and not run all night. When you pick a timer, check that it can support the number of lights you plan to use on it. 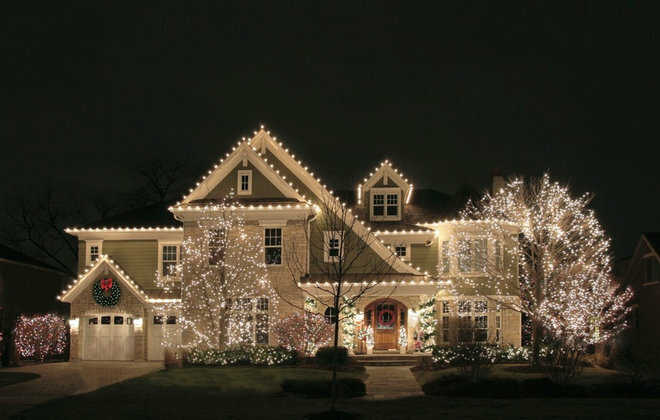 Tip: Electricians can install light timers and take care of other electrical needs to make holiday lights easier to install each year. Pinkerton says his company has installed these types of systems onto homes in about two hours with a starting price of $250. An electrician could also install additional GFCI outlets around the exterior of your home to limit the number of extension cords needed. 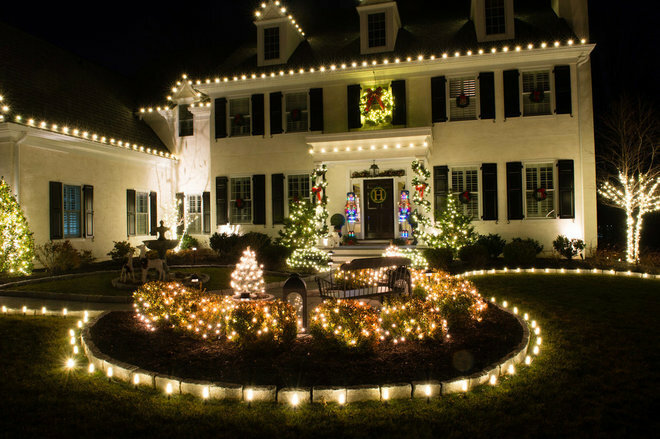 Lights: When it comes to lights, Stephens, who has been in the holiday lighting business since 1996, says LED lights are the way to go. “They can cost three to eight times more than regular incandescent bulbs, but they are more efficient, more durable and last longer,” he says. His company, which installs holiday lights and decor, uses LED lights about 95 percent of the time. For those who have concerns about extra-bright LED lights, he says to look for different options or update your lights. “Even in the past few years, the quality and options have improved,” he says. Trending: In the past three years, Stephens has seen more requests for colored lights. “For a long time, everything was warm white lights on houses, trees, shrubs and fence,” he says. “Then people started adding color to the shrubs and it’s expanded from there.” Red and green are common colors to add into the mix. Extras: Figurines and silhouette displays have also increased in popularity during the past three holiday seasons, Stephens says. 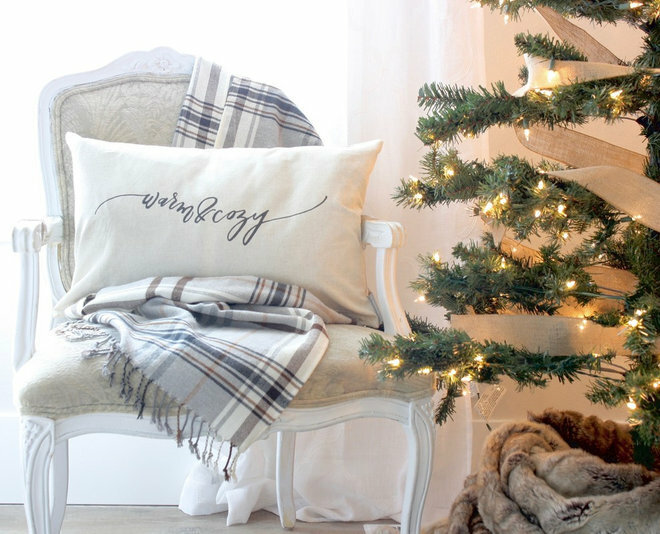 These additions are great for areas of your home that don’t have any trees or places to naturally hang lights. “They also give your home a little more personality,” he says. The future of lights: While not common on residential buildings quite yet, Stephens has worked with businesses to install lights that are more permanent and custom. Minleon offers RGB lighting, which gives the user color control over the bulbs. Each bulb has three LEDs: one red, one green and one blue. This combination of lights can work together to display just about any color. This technology comes at a price, with lighting kits costing $150 and up. Inception Lighting offers a more built-in, year-round experience. The lights are installed on the building in a track with a cover that can enclose the lights when they are not in use. These lights have use outside the holiday season, Stephens says. He’s seen them used to represent favorite sports teams or give a building a spooky glow for Halloween. Hanging hardware: Every house is different, but Stephens and his team have found a hanging solution for almost any decoration or exterior finish. Stephens’ company turns to Adams Manufacturing for their holiday hardware needs or uses simple supplies from a local hardware store. By using light clips, your light lines will appear smooth and purposeful. 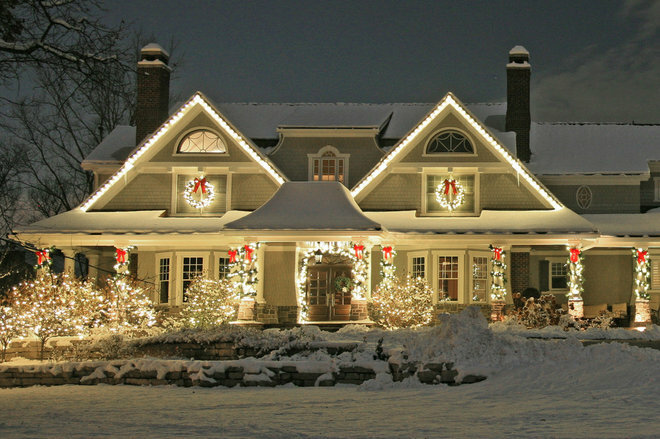 “Your lights can really show off the roofline and architecture of your home if done right,” he says. Don’t use: As noted earlier, avoid metal hanging hardware, as it can cut into the light string’s insulation and cause the outlet to trip. Zip ties: Use zip ties to secure lights and greenery to railings or poles. Stephens says local hardware stores offer zip ties in many colors and sizes, so find an option that will best blend into your holiday decor and home. 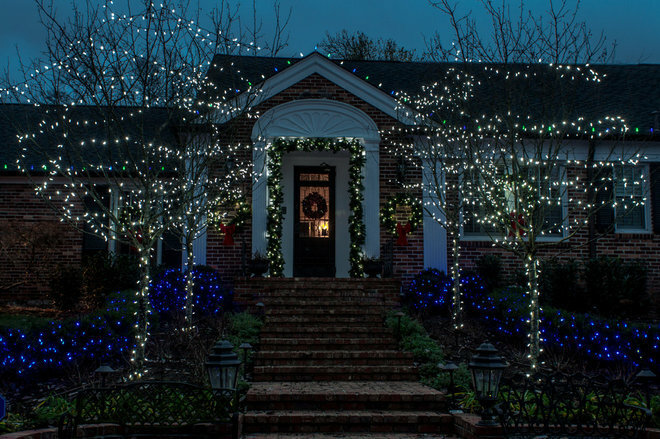 Wreath lighting: Avoid cords hanging from your wreath by using battery-operated lights. 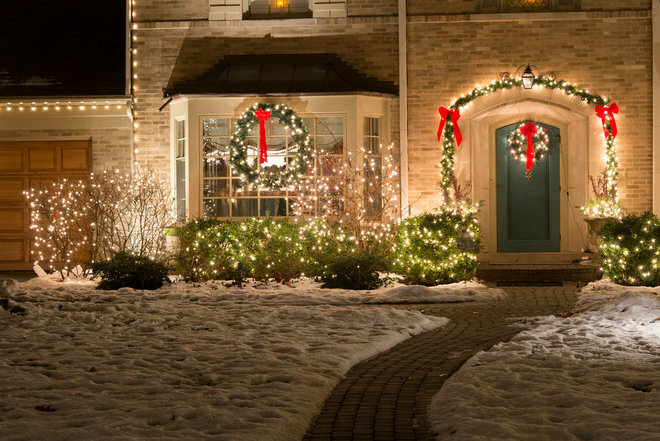 While this solution removes dangling cords around the doorway, you will need to charge the pack and you might not be able to find lights that exactly match the rest of your exterior lights. Tree lighting: Avoid trying to swirl lights around the canopy of a large outdoor tree, Stephens says. “We emphasize random placement,” he says. Start at the top and evenly distribute the lights, but do it in a random pattern. 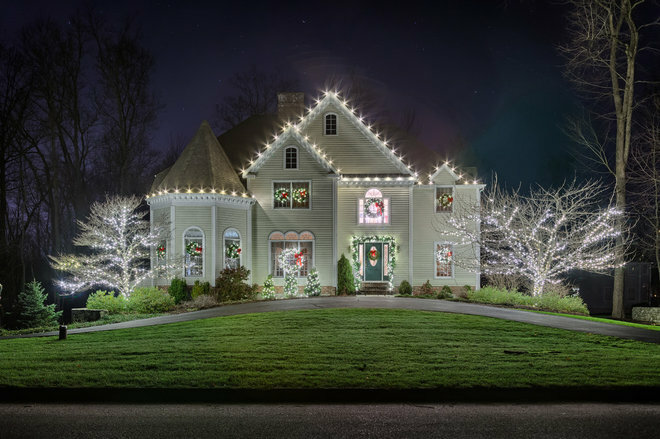 You also don’t need to cover every inch of the tree; leave plenty of open space between the lights.Stephens says 20 percent coverage is plenty and will still look great. You can also inject some color by making every third light red or by using multicolored light strings for a more random look. You can also keep cords out of sight more by running them around the back of the house or up the back of the house to the roof, depending on your power-source needs. 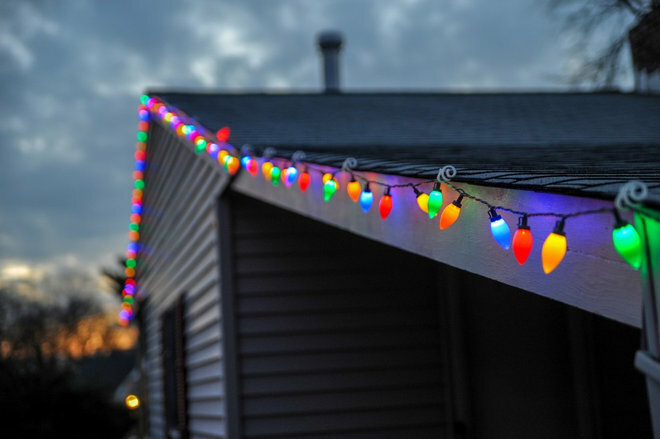 If you aren’t up to the task of hanging holiday lights this year, professional services such as Stephens’ company, Christmas Decor, exist across the country. Every year, he says, his company installs holiday decorations on about 40,000 homes across North America. If you go this route, expect to pay $750 and up, with the average installation costing $1,500, Stephens says. It will take a crew of three about five to six hours to have your home looking festive for the holidays. His company decorates right up until Christmas and starts taking down lights right after Jan. 1. For those who want to hang lights but could use electrical support, now is the time to call an electrician. They can inspect your home and install any additional outlets you may need this holiday season.